Huawei has launched a series of gigabit switches and routers for the Indian enterprise market, which support the Smart Ethernet Protection (SEP) protocol. Speaking on the launch of the devices, Eric Yu, President of Huawei Enterprise, said: "India is an important market for Huawei and we see a huge potential here. We are looking at garnering 10 per cent of market share in India by 2015. With a lot of traction in segments like Government, Power, Transportation, Finance etc. we are looking at sizable growth coming from the Indian market in the coming months. And in order to achieve this growth, we would be enabling the enterprise community with specific solutions on cloud computing, unified communications, smart city implementation and data centre solutions." In an effort to compete with other major OEMs dealing with the Indian enterprise market (such as Cisco and Polycom), Huawei is looking to expanding its operations in India, and will look to provide end-to-end ICT solutions, apart from software and hardware products. It hopes to deliver telepresence, video surveillance, ECC, Unified Communications and IPCC solutions to the market. The products Huawei has launched are the Huawei S5700-LI Series Gigabit Switches, and the Huawei AR150 and AAR200 Series Enterprise Routers. 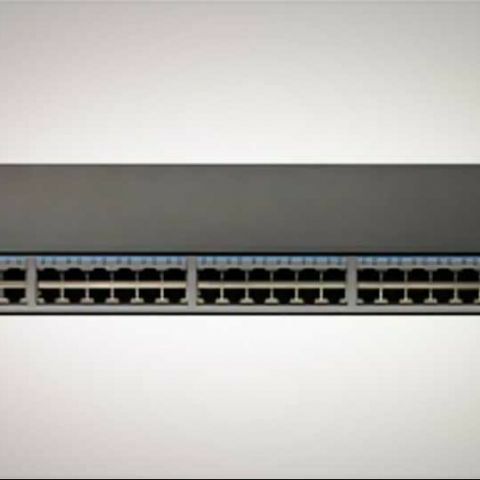 According to the Chinese telecommunications equipment manufacturer, the S5700-LI series are energy-saving switches, which are suitable for high-bandwidth access and Ethernet multi-service aggregation. It also features point-to-point Ethernet fault management. The company is calling the switches highly reliable, and have received the IEC62368 certificate from Underwriters Laboratories Incorporation (UL), making them the first communications product with the accolade. Best Wifi Routers In N300 range ?